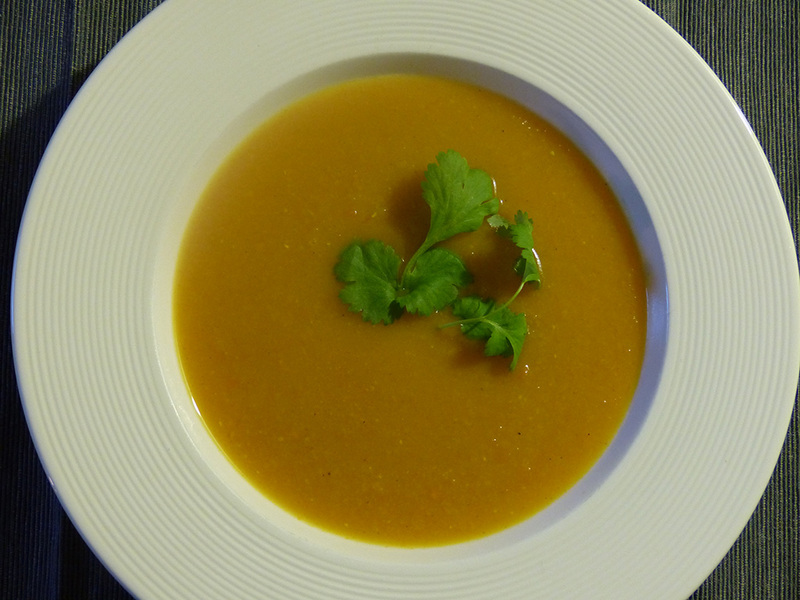 A super simple, healthy vegan soup made with seasonal pumpkin and red lentils. Heat the oil in a pan and add the chopped onions. Fry for around 2 minutes, add the ground cumin and fry for one more minute. Add the cubed pumpkin flesh and fry for another minute before adding the water, the bouillon powder and the red lentils. At this stage you can also add chilli flakes to your liking. Boil for around 30 minutes or until the lentils are soft. Remove from the heat, let it cool for a couple of minutes and blend to a smooth consistency. Serve with chopped flat parsley on top.